The next generation 12 stage, analogue multi tap Phaser, which is a development of, and replacement for, the earlier MegaPhase 12 unit. 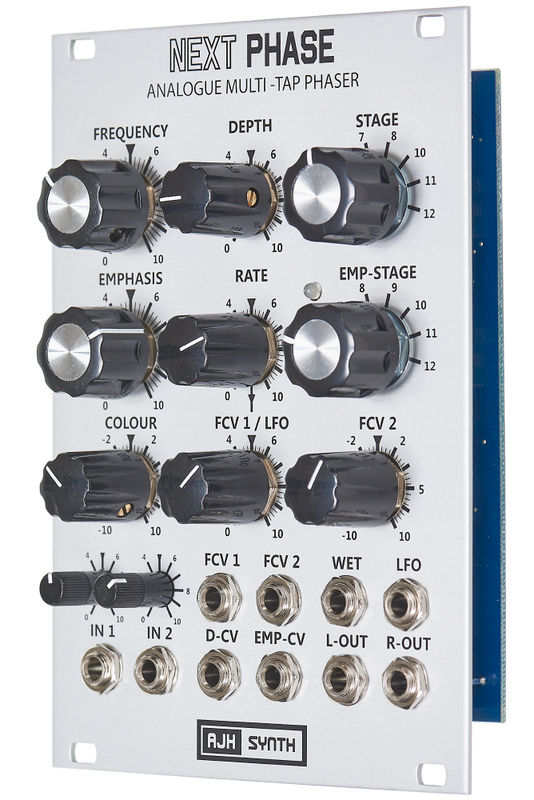 It includes all of the features of the MegaPhase 12 and is also built around the circuitry of the superb sounding EH Smallstone Phaser, which was used to such great effect on synthesisers and string machines by J. M. Jarre on his early albums. It has the same versatile Stage and Emphasis stage switching, and the same configuration of stereo outputs, where the left channel is taken from the Stage switch, and the Right output from the Emphasis Stage Switch. 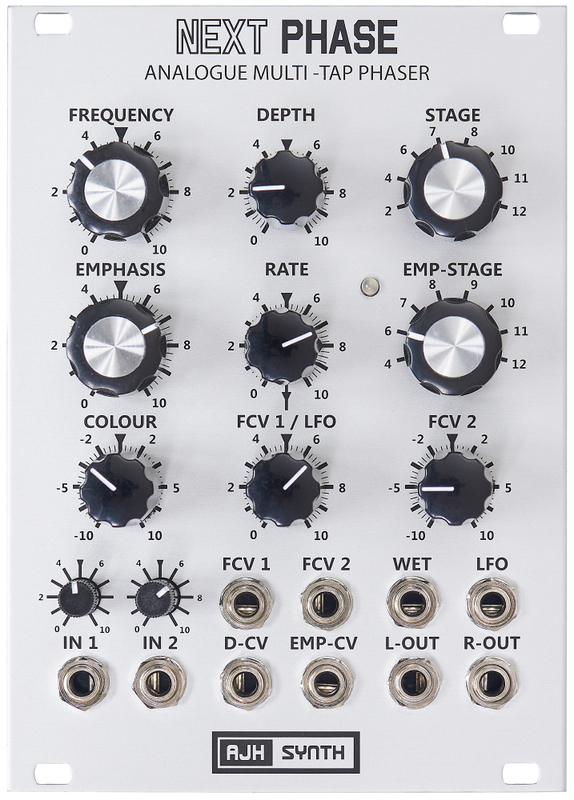 New features include independent Level Controls for Input 1 and Input 2, and a Phase “Colour” Control, which can lighten or darken the phasing effect. 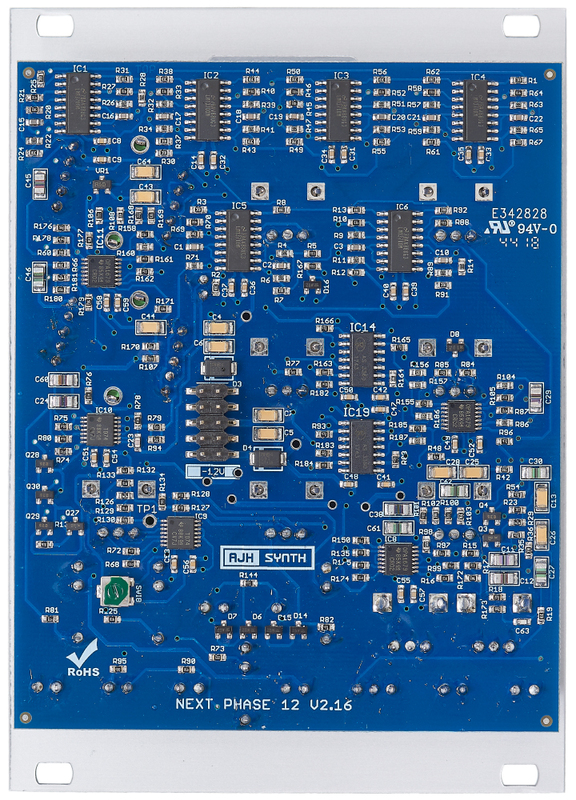 The S/N ratio is improved and the noise floor is considerably reduced compared with the previous MegaPhase 12 phaser, thanks to much lower noise internal VCA’s and low noise audio op-amps along with a four layer PCB design.